In the past 100 years, glacial retreat has resulted in the formation of many freshwater lakes into which tumble mini-icebergs from the glacier in a process known as calving. As the ice chunks break away from the glacier, they—along with surface melting—contribute to the overall loss of glacial mass. 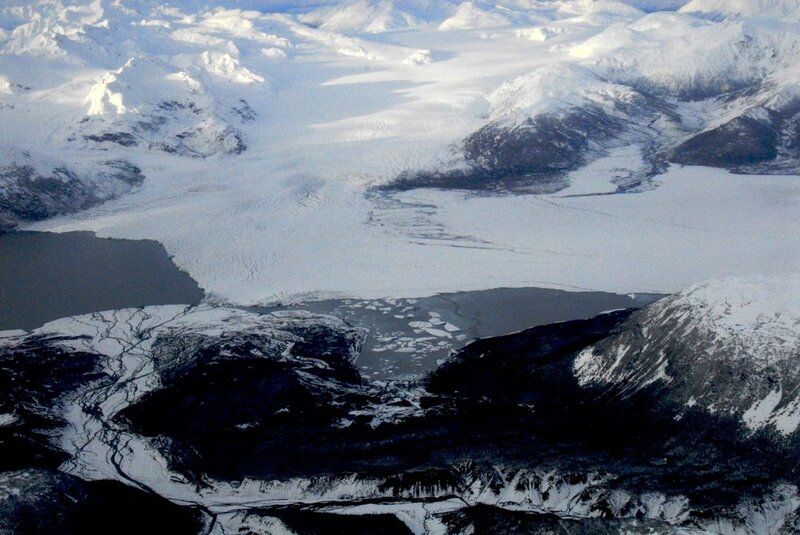 Given the relatively recent phenomenon of freshwater glacial calving (as compared with tidewater calving, where a glacier terminates into an ocean fjord), scientists don’t yet understand the dynamics of how calving speeds up the rate by which glaciers recede. Enter University of Alaska glaciologist Roman Motyka and his research team. Through an extensive, three-year, National Science Foundation-funded research project on Yakutat Glacier in southeastern Alaska, the team is investigating how much of this glacier's ice is wasting away due to calving versus surface ice loss. According to maps and old photos, the small pond at the foot of Yukatat Glacier expanded from a tiny seminal lake in 1900 to its present seven-mile-long lake. 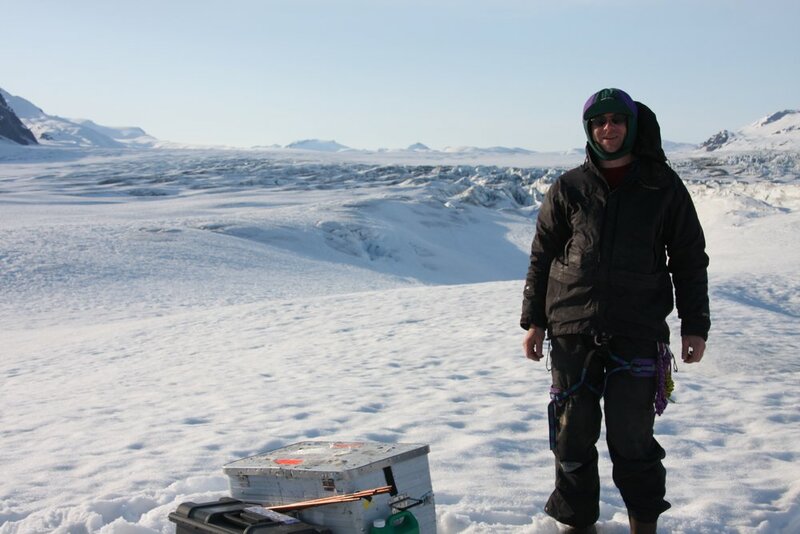 Martin Truffer drills into the glacier to install monitoring equipment. The lake environment, including water level fluctuations and water temperature. The collected data will be used to develop a lake glacier calving “law” that can be incorporated into dynamical models of glacier flow. The team will compare their observational and modeling results with data from other glaciers around the world through international collaborations. The team will head back out to the field in July.